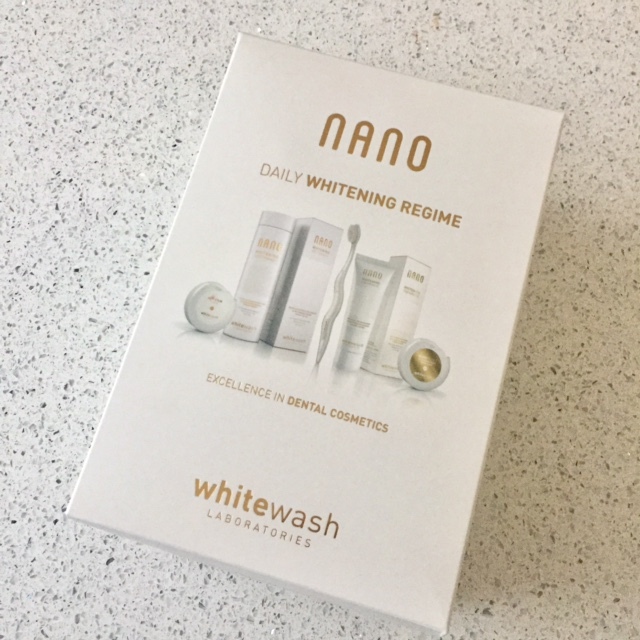 Last month I was sent a very sleek looking package from Nano White Wash Laboratories. I was so excited to try it out as the packaging looked so beautiful and I heard some great reviews. 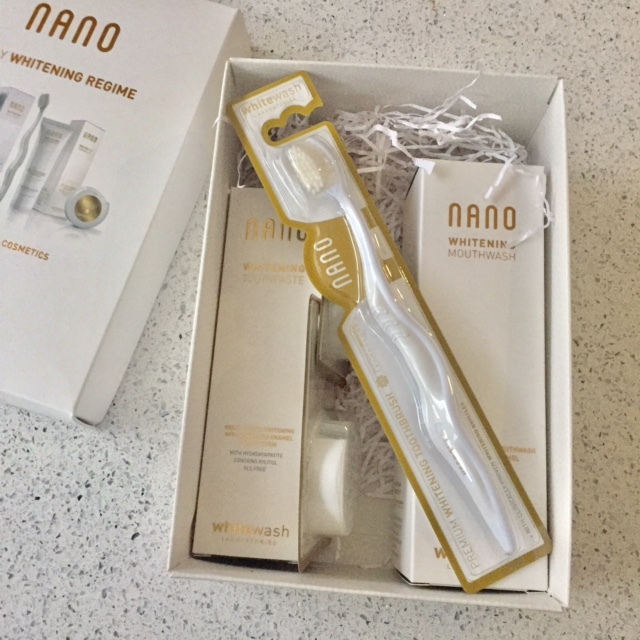 The box was filled with the Nano White wash goodies that will make your teeth visibly whiter. After my first use I was hooked. I LOVE the toothbrush for starters as it is ergonomically designed to fit in your hand comfortably. Yes that may sound simple but I really love well designed products like this. The taste of the toothpaste and mouth wash is fairly standard for whitening products, usually they don't taste nice at all, but the White Wash products taste fine. 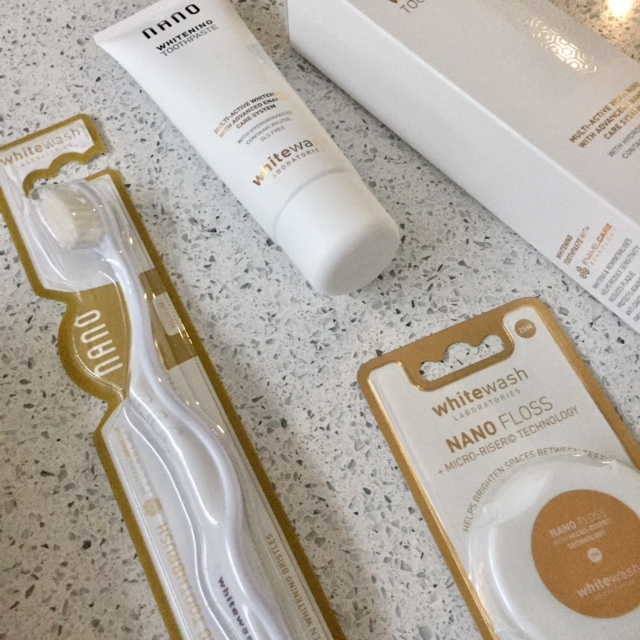 I have loved using each of the products and I have started to notice the difference in my teeth. I personally hate visiting the dentist so any products that are good for oral hygiene are a must in my eyes. I don't usually use floss however, I have been trying these ones out and I really like them. I feel like as the products look and feel luxury I am more inclined to actually use them (that probably sounds funny, but thats the way my head works. 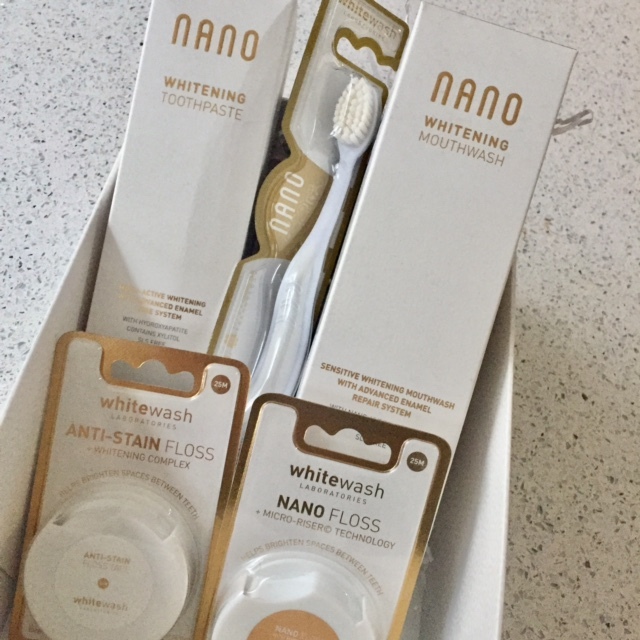 I previously had not heard of Nano whitewash until the products had been sent to me however, you can buy them online and in detests across the country. 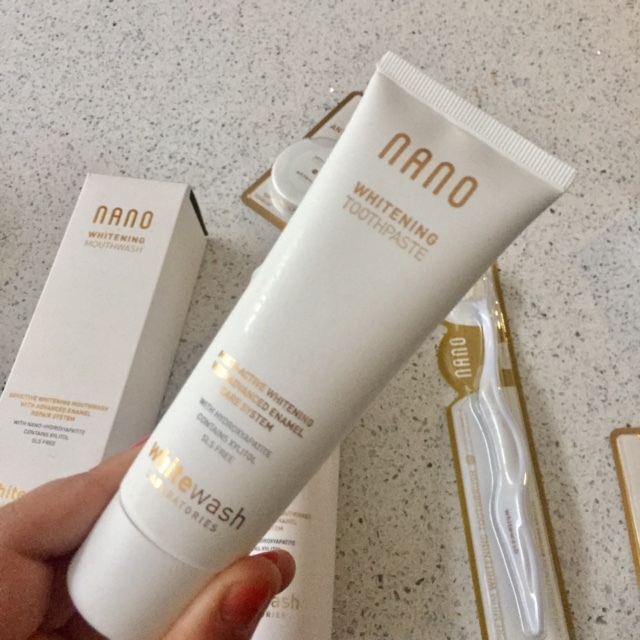 If you are fan of white teeth without the dental treatment I would truly recommend for you to check out the Nano White Wash brand.